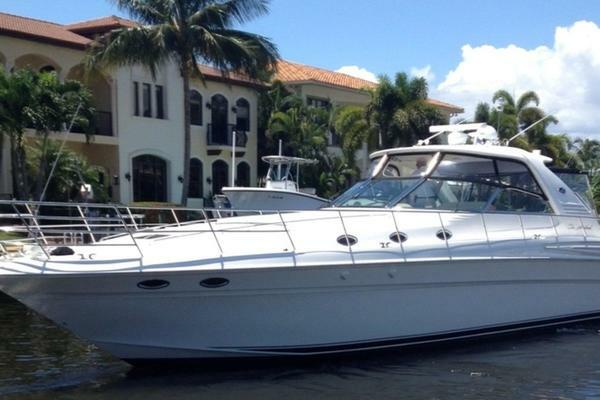 Sea Ray is the largest boat and yacht manufacturer in the world with more units produced and sold than any other brand. 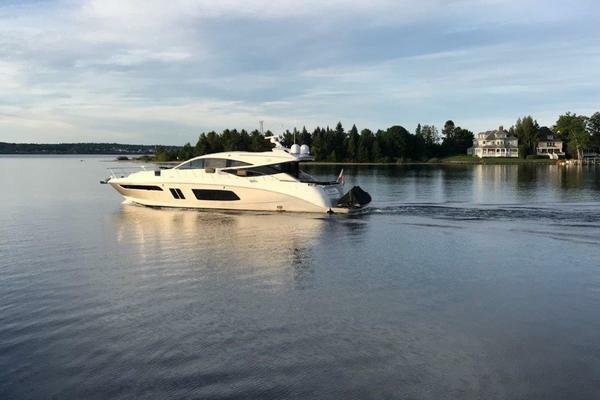 From the Sea Ray Sundancer to Sedan Bridge to L-Class Motor Yacht, the team at United Yacht Sales can help you find the perfect used Sea Ray on the market today. Sea Ray Boats started in 1959 as Ray Industries and was founded by Cornelius Nathaniel Ray III in the town of Oxford Michigan. Being a native to a state that was known for having the best automobile manufacturers, Ray took the GM structure and translated it into the boating industry. A focus on the product design, picking the right dealers to distribute the product, and attention to customer satisfaction took the company to a different level of manufacturing that for years made Sea Ray the largest and most successful builder of pleasure boats in the world and the best selling boat in America. Believe it or not, Ray originally built the 16 foot Sea Ray hulls in a shop where golf cart bodies and coffins were assembled. With the assistance of a former GM designer, the boats became much more stylish and safe. 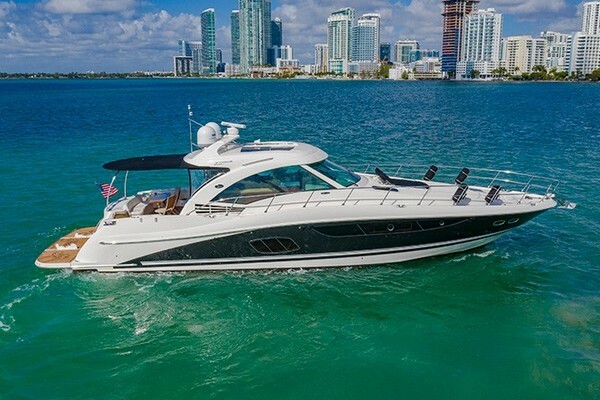 Sea Ray became one of the first companies in the industry to build pleasure boats out of fiberglass and other high-tech composites. By 1986, the company sold for $350 million to Brunswick Corporation. At the time, Sea Ray was one of the largest boat companies with 40 models ranging from 17-60 feet and employing 4,500 people who built about 28,000 boats a year. The pre-owned Sea Ray market today remains the largest of the brokerage industry selling thousands of boats worldwide each year. 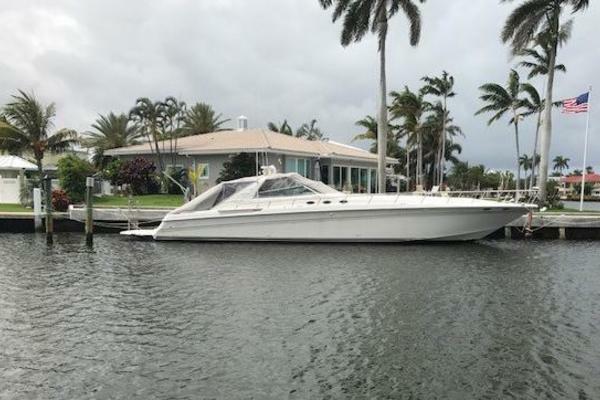 Also read "Practical Tips When Buying A Used Sea Ray Boat Or Yacht." For over 50 years, Sea Ray has been committed to building the most sophisticated sport boats, cruisers and yachts. Sea Ray was the first in the industry to become ISO Certified. This certification not only guarantees a quality product, it guarantees a sound company. All customer requirements are met with the end goal to increase client satisfaction. The company and product quality is always improving. The company morale and professional culture are top of the game, being able to describe, understand, and communicate the company process with no hesitation. With accountability, comes forward thinking ideas that are implemented in the design and technology of Sea Rays. From quiet rides and the command center to creating an aesthetic ambience, the limits are endless. You’ll see how the sun is embraced on the Sport Yacht/Yacht Series by using the SkyFlow design. SkyFlow’s glass cathedral ceiling on the Sundancer 510 over the galley and salon allows light to beam through to reduce the cave like feeling.  This feature is carried through to L Class models. Giving the salon what feels like added interior volume. Winning the AIM Marine Group Editor’s Choice Award for softening the separation between indoor and outdoor space. Design expertise creates symmetry in space that is beautifully functional. Nothing is too insignificant when it comes to building a Sea Ray. The materials are chosen with the client’s comfort in mind. Whether they want a space for entertaining guests or time to get away, Sea Ray will meet those needs. Anywhere from a wine glass storage space hidden away in the cabinetry for no one to see, to cutting edge entertaining centers, Sea Ray will help meet your goal. The L-Class range is the boldest of the yachts Sea Ray delivers. Beauty is one thing, but combined with comfort and performance is a whole other level of superiority. The L-Class family features 6 different models: L550, L550 FLY, L590, L590 FLY, L650, L650 FLY. Each model will provide the user a perfect synergy of class, functionality, and control. What takes the L Class to the next level from previous generations are the materials, finishes, amenities and features incorporated in this class. The palate of materials, power, and customer support give the L Class the perfect balance a yachting enthusiast is looking for.